She:kon Wa’tkonnonhweraton (I send you thanks, greeting and love). I am Mohawk, Turtle Clan, born and raised on the Six Nations of the Grand River. My partner and I have also raised our two sons here within our territory. We both come from generations of lacrosse families, and so we are very proud that our sons continue to carry on the integrity and pride of our lacrosse family legacy. Today, I have a new love in my life, my first grandson Zachary Benjamin who was born on November 17, 2010. I blessed to be anxiously awaiting the arrival of our second grandchild whom I am sure will also be my newest little love. I give thanks to Creator for gifting our family with these little ones we have, and those yet to come. I completed my Bachelors Degree at University of Waterloo in 1992. I graduated with my Masters in Social Work from Wilfrid Laurier in 1994. I also completed a two-year certificate program in Play Therapy at the University of Western Ontario. I worked within the community as a private therapist and consultant for 8 years before going to Ganohkwasra Family Assault Support Services to take on the challenge of supervising the sexual assault unit within my own First Nations community for 4 years. I am the author of the Eagle Child series which are a series of books developed to educate children about sexual assault and abusive behaviors from a First Nations perspective. I taught a Native Spirituality course to M.S.W.’s for 3 years at Wilfrid Laurier University which combined social work and First Nations spirituality. I was the Supervisor of Ganohkwasra’s Women’s Community Counselling Team for 4 years which consisted of 6 amazing, devoted and loving social workers who worked with native women and men impacted by family violence. In 2008, I became the Director of Ganohkwasra Family Assault Support Services. I am proud to work for Ganohkwasra due to the encouragement and support we offer to learn and practice a variety of unique and holistic energy-based techniques such as EFT; Reiki; TAT; EMDR; Psychodramatic Bodywork and Hypnotherapy. I cannot begin to convey the love and respect I have for the multi-talented women and men I work beside each and every day, devoted to ending family violence and abuse within our First Nations community. Our staff are truly amazing people that I am honored to know. Since the summer of 2009, I began a part-time practice which I do out of my home. I believe in helping people the very that best I can. This was the nature of my mother and a quality I cherish and try to foster each and every day. I believe in the strength of my people and our own Haudenosaunee ways of living and healing. I am able to stay grounded by leaning on the wisdom of my own culture and traditions. I give thanks to my Creator for my family and all those I have in my life. Mary Daoust is the Executive Director for Minwaashin Lodge-Aboriginal Women’s Support Centre in Ottawa, Ont since June 30, 2014. In this role, Mary oversees all operations of the agency and our 21 bed shelter –Oshki Kizis Lodge. The agency and the shelter offer a wide range of programs and services to First Nations, Inuit and Metis women and children who are survivors of domestic and other forms of violence, and who may also be suffering the effects of the residential school system. The programs and services are provided in the context of cultural beliefs and values to ensure a holistic approach is being used as part of their healing journey. Mary serves as an active member on the Aboriginal Shelters of Ontario Board of Directors and sits on numerous committees throughout Ottawa both mainstream and First Nations. 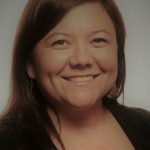 Originally from Sioux Lookout, Ontario – a small community in northwestern Ontario, this Ojibway woman left her small community to pursue her dreams of working with Aboriginal women and children. Chi Meegwetch for the Creators blessings in placing me where I am needed most. Boozhoo. My name is Jennifer Syrette. I am an Anishinabe kwe and am from the Crane clan. I am a member of the Batchewana First Nation and reside on the Rankin Reserve. I am a proud mother to my son, who is my greatest teacher. For 10 years I worked in my community as an ECE teacher in our daycare. During this time I volunteered with the Sault Area Native Elders Association, as well as continued my studies part-time. In 2008, I obtained my Bachelor of Indian Social Work through the University of Regina. I then moved north, where I worked as a Probation and Parole Officer in the James Bay Area for a few years until moving home to work as a Family Support Worker in my community and surrounding First Nation communities. In 2013, I was hired as Executive Director for the Nimkii-Naabkawagan Family Crisis Shelter in Batchewana First Nation. I continue to volunteer and have been appointed to various committees within my community. I am grateful for the experiences of working with many families and people within various life stages of the medicine wheel and am dedicated to providing support within my sphere of influence. My involvement with the ASOO BOD has been a wonderful opportunity to make positive change and connect with others who share a similar passion for our people. Miigwetch. Hou koda, my name is Debra Vermette and I am a proud member of the Wahpeton Dakota Nation located just outside of Prince Albert Saskatchewan. I am the Executive Director of Beendigen Anishinabe Women’s Crisis Home & Family Healing Agency located in Thunder Bay. We are a 24 bed shelter for Indigenous women who have experienced, are at risk of experiencing or have been or are being affected by violence and/or abuse. We offer a variety of programs and services with goal of empowering women and ending the violence against them. Since joining Beendigen in 2005, as a Relief Resident Counsellor, working with the women and their families in the shelter, I’ve held various progressive positions. In 2016, I was appointed Executive Director of the organization. I have a Business of Administration degree and an Honours Bachelor of Arts (Psychology) degree from Lakehead University. Though I started my career working in the non-traditional field I had always progressed to management positions. I believe this experience, along with my education, have prepared me for the role I am in today. I am a firm believer in the idea that we are where we are today because that is where Creator needs us to be. I am honoured to be a board member of the Aboriginal Shelters of Ontario. Elected to the board in 2015, this experience has given me the opportunity to walk with amazing and dedicated women who work tirelessly to end the violence against Indigenous women. Boozhoo! Mushk Ode N’dizhnikaz. Waabizheshi N’dodem. Chimnissing nindonjibaa. My name is Charisse Sayer and I am also known as Strong Heart. I am Anishnaabe Kwe, Marten Clan and a member of the Beausoleil First Nation located on Christian Island. I moved from Waterloo to the London area in August 2016 for work and to raise my three beautiful children close to our culture, language and traditions. I am the Manager of Housing and Shelter Services at Atlohsa Family Healing Services. In my role, I oversee the operations of the agency, supportive housing and our 16 bed shelter – Zhaawanong. Our agency and shelter offer an extensive range of programs, services and support groups to First Nations, Inuit and Metis women, children, youth and men in the London and surrounding First Nation communities. Our programs are rooted in a holistic framework, informed by Indigenous knowledge and delivered in a culturally safe environment. Our team also participates with a number of outreach and educational events in partnership with community agencies, First Nation initiatives, the VAW sector and the Thames Valley District School Board. I am a proud member of the Aboriginal Shelters of Ontario Board of Directors. The board and members of ASOO have a wealth of knowledge and experience, are dedicated to end family violence and are devoted to the recovery of culture and revitalization of healing and wellness in our urban and rural communities. My experience with ASOO is instrumental in the work I do for Atlohsa because our membership embodies teachings of peace, respect and friendship in our collaboration with each other, community and funding partners.